Your referrals are highly appreciated. You can now send your referrals online. Get your FREE initial assessment today by filling out this online form. Meet the people who are responsible for your care. 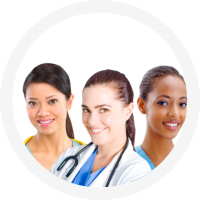 Care Plus Provider is a licensed, insured and bonded non-medical provider of home care services based on the belief that your needs are of the utmost importance. Our in-home care goal is to help you achieve the best quality of life possible by feeling and listening to your preferences, and by caring and satisfying your needs. 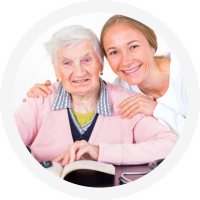 We provide comprehensive quality home care services with professionalism, dignity, diligence, compassion, and respect. Our staff strives to ensure optimal service delivery with the utmost concern in accomplishing and meeting your individual needs. A comprehensive assessment and interview by our home care professional. 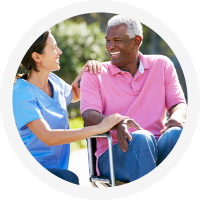 The implementation of a service plan based on your needs delivered to you by our team of trained caregivers who are thoroughly screened, and who go beyond ordinary home care services. Our wide variety of flexible, personalized care services suited according to your needs and can be provided to you from a few hours to as many as 24 hours a day, 7 days a week. Our compassionate, reliable one-on-one non-medical assistance that cares for Alzheimer’s, Dementia and Cancer clients. We can provide everything you’d do for your loved one and more, so you’ll have confidence that your loved one is safe. We would welcome the opportunity to earn your trust and deliver you best service in the industry. Give us a call at 1-800-571-1618 for questions, inquiries or for more information.